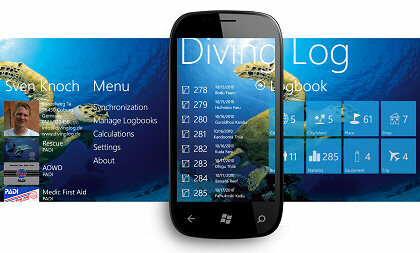 The beta version of the next update of Diving Log for Windows Phone 7 is now available. If you want to join the beta test, please send me your Windows Live ID (email address) associated with your Windows Phone to info (at) divinglog.de. You will then receive an email with a link, that you can open on your phone to download the beta version from the marketplace. The beta will run for 3 month (expires on December 9) and runs on WP 7.0 (NoDo) or 7.5 (Mango) devices. You will also need a Dropbox account to sync your logbook to the phone and the Dropbox client application has to be installed on your PC. When you use the beta version, please provide feedback and report any problems.